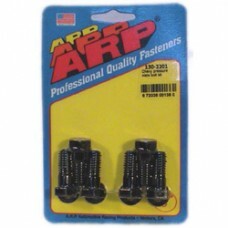 ARP high performance clutch bolt kit. Forged from aerospace material and supplied with precision parallel ground washers. Rated at 170,000 psi. 3/8"-16 with 9/16" hex head. Use with most early Small and Big Block Chevrolet. 6 pieces per pack.